We aim to work with participants to rigorously explore the application of PD principles to the development of biotechnologies. The workshop will introduce a spectrum of the latest biotechnologies and analyze existing design methodologies. Next to this, the workshop aims to discuss PD principles and frameworks that may be applicable to biotechnology and envision examples of use cases where PD could be applied. The goal of the workshop is to develop a draft action plan including steps for realizing such a use case for continued work after the conference. Living technologies are the next major technological revolution, and without thoughtful deployment of PD practices to their development, we risk an increasingly asymmetric world where the powerful can employ sophisticated biotechnologies for their benefit. Conversely, a world is also possible where living technologies are used to realize an equitable society built on principles of conservation, environmental and economic justice. Our hope is to leverage this workshop to advance the latter. 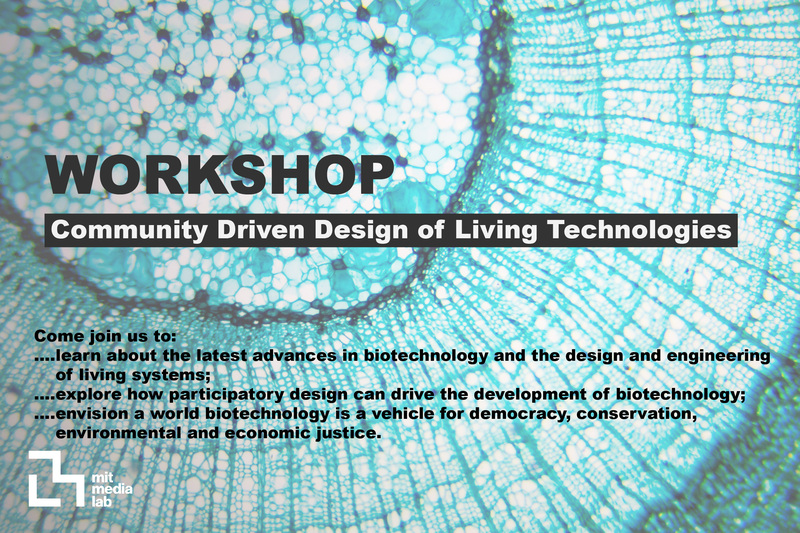 This workshop wants to attract participants with familiarity with the PDC pedagogy who are interested in learning more about biotech and engineering living systems, and the role of public engagement in democratizing biotechnology.